Grant has a deep, strong, passionate connection to his role as a coach and how it touches other people’s lives. He prides himself in his own personal commitment to improving the lives of others and takes his responsibility as a mentor very serious. He and his team are all professionally certified coaches with The International Coach Federation, and keep a well-rounded perspective on their core objectives – the help those that need it through the coaching model. Grant completed his MBA at Queens University through their award winning National Executive MBA program and in the process of earning his Master Certified Coach designation with the International Coach Federation. Grant also teaches Sales Strategy and Customer Relationship Management at the University of Toronto School of Business. Grant’s unique combination of experience provides clients with insight to how all the parts of their business come together, interact with the customer and ultimately impact their profitability. He develops the integrated strategies and tactics to drive the customer experience and deliver sustained profit to organizations of all sizes. He has over 20 years experience helping organizations create 300% increases in profit. Grant uses his history in B2B and B2C Strategy, Marketing, Finance, Technology, Operations and Business Development to assist companies in building customer centric organizations. 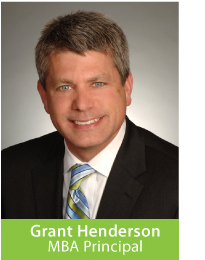 Grant’s previous positions include Group Director Marketing for LavaLife, VP Marketing and Strategy for Lifestyles International, Director of Sales and Marketing Operations for Bell Canada. Grant was also successful as an Account Executive with Morgan Financial structuring debt instruments for small and medium size businesses.